OAR maps apparel factories globally and assigns a unique ID number to each. The Open Apparel Registry (OAR) (https://openapparel.org) launches free, open source global map of apparel facilities. Despite all the best efforts of the Government and Indian apparel industry, skill development schemes have not delivered expected results. In discussion with Apparel Resources, Stalwarts of Indian apparel industry share its cause and suggest solutions of the same. In last one month, most of the leading associations of Indian textile and apparel trade industry have re-elected their office bearers. 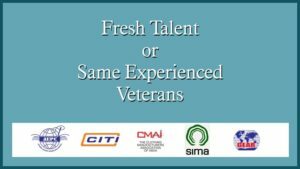 This again has given birth to debate that Indian textile and apparel industry does not have the fresh talent and same experienced Veterans lead apparel and textile trade bodies. There is an immense need for factory owners to transform their traditional factories into smart factories. Here are a few techniques and practices that could be implemented in the apparel industry for achieving the overall performance and productivity.